If you’re thinking about selling your Orange County home, you have probably asked yourself who the best real estate agent is to sell your property. If you’re thorough, you’ve done your online research, double checked licenses and for any violations with the Orange County Board of Realtors, and personally interviewed your top candidates. Your home is your most prized possession, you deserve an Orange County realtor who will treat it as such. At a minimum, a good real estate agent will help you set the right price, market the home professionally, qualify the buyers, and expertly negotiate and finalize the deal. But you’re looking for a great realtor. And why don’t you — and your home — deserve the best? 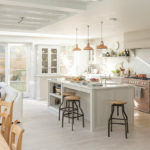 A great Orange County real estate agent will be able to provide you with a list of homes she has sold recently, even in this ‘down’ economy, and references to support her stellar work. Additionally, with her experience and knowledge, she can walk a tightrope: balancing optimism with realism and diplomacy with candor. To identify prospective agents, you can ask for referrals from neighbors or friends or use the search tools on the websites of the National Association of Realtors, Facebook, or local the Orange County Board of Realtors. 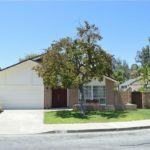 Furthermore, each Orange county real estate agent that you interview should offer a comparative market analysis (a comparison of recent and pending sales of homes similar to yours) and know enough about the neighborhood and recent sales to easily explain why you should list your home for more or less than the neighbor down the street who sold last season. Do not fall for the agent who glibly promises the quickest sale for the highest price. The Marquis Team, for example, does not do it alone. Cheryl Marquis is supported by a short sale specialist, a commercial broker, a title and escrow professional, and a transaction coordinator — at no additional cost to you. It is important for agents to have at least one assistant — and a team of specialists like The Marquis Team is ideal. Again, your home is important. One person cannot handle every step of the process efficiently and effectively — work with an Orange County realtor who understands this. Ask each Orange County realtor how long the listing contract would last. The slower the market, the longer the contract. For slower-selling high-end homes in Orange County (i.e., those over $1 million), agents may want a year, which is generally the norm. Make sure you discuss the terms of your agreement and feel comfortable with all aspects before you sign on the dotted line. Cheryl Marquis knows that selling one’s home can be an extremely stressful time. Work with an Orange County realtor you trust and respect and watch the process become that much easier! For more Orange County real estate news and tips, follow Cheryl on Twitter @CherylSellsOC or check her on Facebook at CherylSellsOrangeCounty.